A company called Workfront was good enough to publish an informercial, disguised as a blog post, from another company. The other company is called MarketerGizmo, and its URL directs to yet another company. That third company is called IdealPath. And if you think you’re confused now, wait till you read the infomercial, which is cleverly entitled, “What is Agile Marketing? (and Why You Should Care)”. Marketing is, by nature and definition, an opportunistic activity. It has to be. Opportunity is fleeting. That’s why we refer to every opportunity on which we fail to capitalize as opportunity cost. And it’s why the strategic target has to be — because it’s an insurmountable impediment to every strategic and tactical undertaking — bureaucracy. I’ve been around the bureaucratic block and wasted more time, effort, and energy on it than I care to remember. So, yes, I know policies and procedures are necessary. I know plans and processes are the stuff of direction, structure, and routine. But all the tactical agility in the world won’t accomplish a thing unless the organization bakes in cultural agility from the top down. 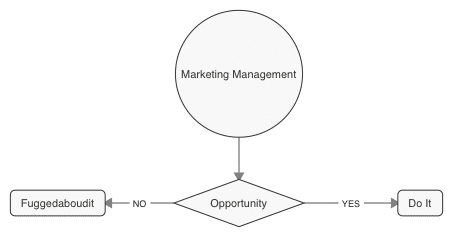 Along with separating marketing management from daily management, the marketing focus should be on prospects and markets, not on products and services. 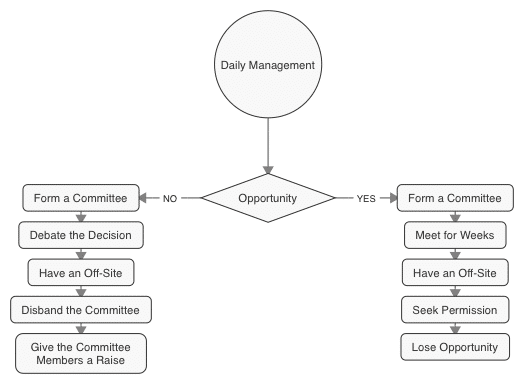 Strategic objectives have to be clearly articulated and fully supported by the organization, from top to bottom. They provide a unifying cause and a source of motivation when things get challenging. Perhaps most important, organizations that aspire to functional opportunism have to value empiricism before opinions. If opinions take the place of verifiable information and demonstrable expertise, the person with the best debating skills, the loudest voice, or the most juice wins. People become associated with their opinions. Attention is diverted from the common cause. Consensus becomes difficult to achieve. Direction becomes almost impossible to set. And agility is crippled by disagreement, resentment, suspicion of hidden agendas, and opinion-driven factions that don’t interact or cooperate effectively or efficiently. The common cause is lost. The organization loses. If you want to reap the benefits of agile marketing (tactics), you have to create the cultural environment (strategy) in which it will flourish. To put it another, interrogatory way: If you planted seeds in sand, would you expect them to grow? I didn’t think so. I guess we should be grateful to Workfront for publishing MarketerGizmo/IdealPath’s informercial. But we might have had more reason to care about agile marketing if said infomercial had given us an inkling of the strategic environment in which agile-marketing tactics might have the proverbial snowball’s chance. 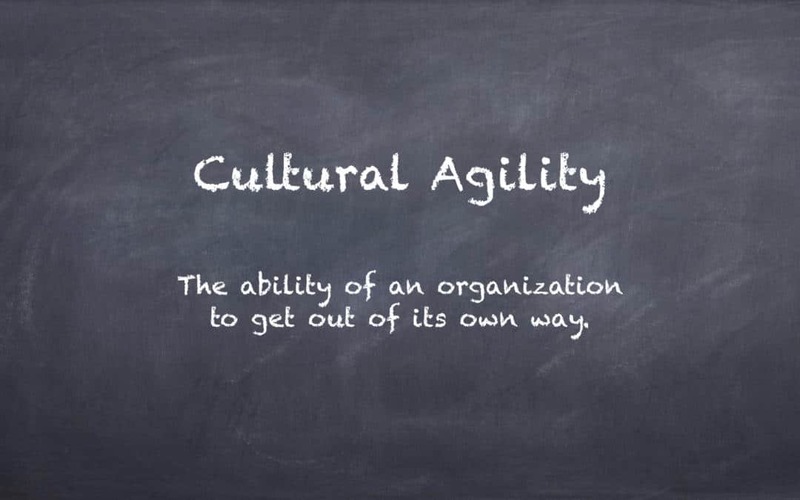 It boils down to this: No cultural agility, no agile marketing. End of story.